SYDNEY, AUSTRALIA – Australia’s cloud Infrastructure-as-a-Service (IaaS) market continues to boom with organisations spending $688 million in 2018, a figure expected to reach around $1.2 billion by 2022, according to new research from emerging technology analyst firm Telsyte. The Telsyte Australian Cloud Market Study 2019 found maturity is rapidly increasing in Australia, with 84 per cent of organisations having a strategic approach to cloud computing and one in four (24%) having mature practices that are able to move workloads from on-premises to cloud. The strong spending is in line with Australian organisation’s intentions to increase total IT budgets, with an average increase of 6 per cent expected in 2019, up from 4.8 per cent in 2018. The main driver for IT budget growth is digital transformation, of which cloud computing is a key enabling technology. Among organisations which have adopted cloud computing, 43 per cent plan to increase spend on cloud infrastructure as more experiment with multiple platforms. According to Telsyte, a multi-cloud approach is dominating, with 77 per cent of all Australian organisations using more than one platform, and almost half (49%) using more than four cloud platforms. The average number of cloud platforms used by organisations reached 3.8 in 2018. Early concerns about cloud adoption have all but disappeared with few organisations having any cloud restrictions. In 2018, 41 per cent had a ‘cloud first’ policy, and another 36 per cent place no restrictions on cloud use. Cyber security is both a driver and a challenge for organisations when it comes to cloud, with 40 per cent ranking security as a top reason for adopting cloud-based applications. Conversely, 42 per cent rate security as a concern with cloud computing. With IaaS being adopted rapidly, Australian enterprises are now deploying a range of applications off premises. Australian companies see cloud as an important enabler for big data applications, with 84 per cent of large organisations using some form of cloud storage or compute for their main big data analytics program as massive amounts of data out-grows on-premise capabilities. The uptake is extending to traditional “core” applications with almost two thirds (65%) of organisations claiming their ERP systems are fully or partially cloud-based. Cloud deployments have been particularly important to address enterprise application challenges of poor integration (30%); lack of infrastructure (29%); and long deployment times (26%). Australia’s adoption of cloud must be supported by skilled professionals, however there is still a gap in the market for cloud skills. Telsyte research found organisations are looking towards partners to manage cloud services, with 37 per cent of large organisations currently outsourcing cloud management to third parties. Local data centres remain important for Australian organisations with 62 per cent of IT and business leaders being more willing to try cloud services from multinational organisations if they have local data centres. A significant 69 per cent of Australian organisations still have restrictions in adopting off-shore public cloud services, with the majority citing internal company policies as the main limitation. Only around half of organisations interviewed believed their cloud computing practices were fully compliant to GDPR regulations. An online survey of 447 IT decision makers across Australian organisations having greater than 20 employees, with 60 per cent of respondents coming from organisations with greater than 200 employees. SYDNEY, AUSTRALIA – Australian tablet sales fell in the past six months due to a continued decline in the Android market and a slowing in growth of the maturing 2-in-1 segment, according to new research from Australian emerging technology analyst firm, Telsyte. Telsyte estimates around 1.6 million tablets were sold in the second half of 2018, down 2.1 per cent from the same period a year earlier. Apple remained the leader in tablet sales share (iOS: 49.6%, Windows: 29.9%, Android: 19.3%, and Chrome: 1.2%) with the new iPad 9.7 inch (2018) once again the most popular model due to its price point, which appealed to upgraders. Both Apple (up 5.1%) and Windows-based (up 2.1%) devices experience growth during the half, but the big mover was Android-based devices, with sales down 21 per cent. The top three vendors were Apple, Samsung, and Microsoft, with combined shares accounting for more than 75 per cent of total sales during the half. Apple remained the leader in repeat purchase intention in the tablet category, followed by Samsung (more than 80% and 50% respectively). Tablet sales are expected to continue to face challenges due to longer overall replacement cycles as consumers hold onto their chosen device longer. The average replacement cycle of tablets has increased to around 3.1 years (up 0.6 years from 2017), a faster rate compared to smartphones, according to Telsyte research. Telsyte estimates around 15.7 million Australians had access to a tablet at the end of 2018 making it a highly mature segment. While Australians are replacing their tablets less frequently, tablet users are still spending around two hours per day on their slate devices, which is similar to previous years. With technologies such as 5G, eSIMs and larger shared mobile data plans, there is still huge potential for more connected tablets and 2-in-1s to be realised. Telsyte estimates around two million tablets were connected to mobile networks at the end of 2018. “The arrival of 5G will likely spur further interest for connected tablets, potentially amongst gamers due to lower latency,” Telsyte Senior Analyst, Alvin Lee, says. Interactive gaming is a critical application for tablets according to Telsyte research, and interactive gaming on tablets will continue to fuel tablet replacements and upgrades, as well as more spending on the Android and Apple app stores in 2019. Telsyte research has consistently shown more than half of app revenue comes from games. Furthermore, the mobile market is ripe for a gaming subscription service (i.e. “the Netflix for games”) due to strong growth in free-to-play (with in-game purchases) and casual players. Some two million Australians spent money on tablet games in 2018, of which around half made in-game purchases for free-to-play games such as Fortnite, Pokémon Go and Clash of Clans. In addition to interactive gaming, education is expected to be another key segment driving tablet usage in Australia. Telsyte research found more than 60 per cent of children (under 18) had access to a tablet at the end of 2018. Among children with access to a tablet, the majority (81%) are using it at least a few times a week, averaging two hours a day. “More cost effective 2-in-1 devices designed for the education market are likely to be popular in coming years,” Lee says. Telsyte research indicates the fast-growing smart speaker market presents opportunities for tablet vendors tapping into the growing IoT@Home (smart home) market. Telsyte estimate that 16 per cent (1.6 million) of households were using at least one smart speaker at the end of 2018. Among these households a growing share (currently below 5%) are using smart speakers with displays (also known as smart displays), such as Google Home Hub, Amazon Echo Spot and Lenovo Smart Display. While Australians are increasingly comfortable with voice commands, additional touch interfaces will help with navigation for more advanced smart home applications and for visual information display. Australians have been using their tablets as rudimentary ‘smart displays’, such as for reading recipes and playing videos in the kitchen. Telsyte estimates up to 40 per cent of smart speakers sold could have a display within the next two years as the categories converge. An online survey conducted in November and December 2018 with a representative sample of 1,025 respondents, 16 years and older. Analyst reviews of leading tablet devices. 2-in-1 definition: Primarily refers to laptops that have a touch screen and detachable keyboards or foldable form factors to provide a pure tablet-like experience. Tablets that are known for their versatility and mimic laptop-like experience with keyboards or type covers are also considered as 2-in-1s. E.g. 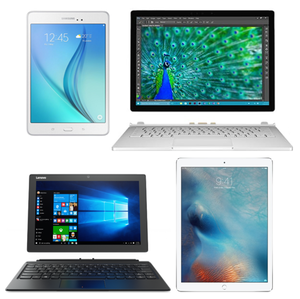 Microsoft Surface tablets, apple iPad Pro, Samsung Galaxy Book, HP Spectre x360, Asus Chromebook Flip 2, or Lenovo Yoga 730. *Please note Telsyte measures Apple iPad Pro models as 2-in-1s for comparison reasons, due to having a specifically designed Apple keyboard which is typically sold together. Telsyte measures sales of devices (“sell out”), not shipments or sales to retailers or carriers (sometimes called “sell-in”). Telsyte believes this is a more accurate measure of performance of products in a marketplace. Telsyte does not rely on disclosure from vendors or general assumptions made for large multinational companies that do not release local market data. Telsyte uses a comprehensive methodology that includes surveys of consumers, discussions with vendors, carriers and their partners, retailers, and financial analysts. In addition, public financial results from manufacturers and carriers are used. Telsyte tests a wide range of products in real life usage scenarios and conducts satisfaction and repeat purchase surveys with large and representative samples of Australian smart device users. Telsyte is a pioneer in measuring and reporting smart device sales in Australia and has been providing insights on mobile technologies since 2006. SYDNEY, AUSTRALIA – The high cost of new smartphones is holding back market growth in Australia with Apple losing share to Android rivals, according to new research from Australian emerging technology analyst firm, Telsyte. 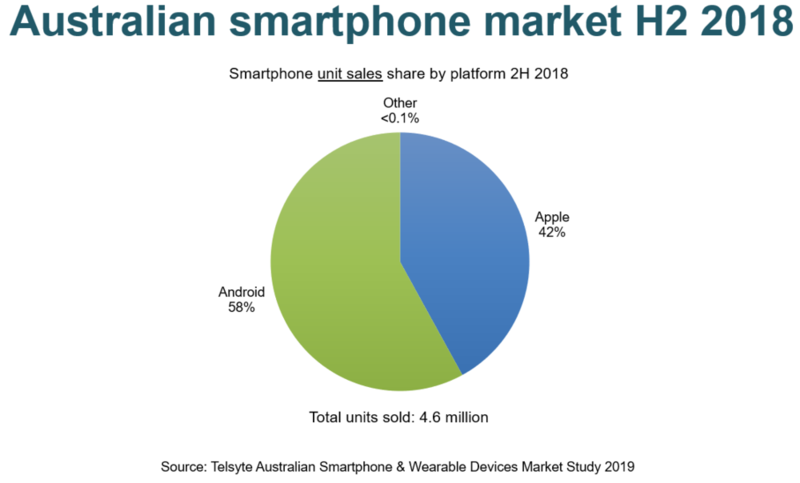 The Telsyte Australian Smartphone & Wearable Devices Market Study 2019 found the timing and availability of 5G handset releases will be critical to lifting overall smartphone sales in 2019. Some 4.6 million smartphones were sold in the second half of 2018, down 3 per cent from the same period in 2017, as consumers held onto their handsets longer and look to 5G models amidst surging prices of new models. Telsyte research found the average selling price (ASP) of smartphones went up by 13 per cent between 2017 and 2018, impacting consumer demand. As many as 1 in 4 (24%) consumers are also holding off buying a new smartphone until 5G becomes available. A further 1 in 3 (33%) Australians indicated 5G capability is important when choosing a smartphone. Telsyte forecasts some 9 million smartphones will be sold in 2019 (up just 1 per cent compared to 2018), as only a handful of Android vendors are expected release 5G smartphones in 2019. However, If Apple releases a 5G iPhone at its usual timeframe in 2019, Telsyte forecasts this could lift total sales to 9.4 million, putting growth closer to 6 per cent. “There is a clear imperative for carriers to bring 5G handsets to market as soon as possible given the lengthening of the replacement cycle” Telsyte Managing Director, Foad Fadaghi, says. Despite 5G mobile services not yet available currently in Australia, Telsyte believes consumers are considering ‘futureproofing’ their next purchase, given they anticipate using the same handset for the next three years or longer. In the Android smartphone market, the top three vendors were Samsung, Oppo and Huawei. Apple maintains the highest repeat purchase intention rate (greater than 85%), with the next highest being Samsung at around 70 per cent. Despite the cost increases and flat sales, more Australians are now using a smartphone with around 9.1 million active primary iPhone users compared to 11 million Android users at the end of 2018, up from 8.6 and 10.3 million at the end of 2017, respectively. Smartphone dependency is at all-time high. More than half (54%) of premium smartphone users, defined as handsets costing greater than $600, claim that their smartphone is their main digital device. A fast-growing area of smartphone usage has been mobile payments, with nearly half of all mobile payment users claiming to use it ‘regularly’ (more than 75% of the time) to pay for goods and services whenever possible, according to Telsyte’s research. Following this trend, Telsyte research shows, 1 in 8 (13%) Australians aged 16 to 34 (‘millennials’) have changed or joined a new banking provider due to the lack of mobile payments support, and 14 per cent of Apple Watch users have also done so. Telsyte research also shows nearly half (46%) of e-commerce market revenue in 2018 was transacted through mobile devices (including smartphones and tablets). The ‘m-commerce’ market in Australia was worth $15.2b in 2018, up from $12.0b in 2017. Telsyte estimates 3.5 million smartwatches were in use at the end of 2018 as consumer behaviour increasingly shifts to new devices that work alongside smartphones and apps. A total of 1.1 million smart wrist wearable devices (combined smartwatch and smart bands) were sold in the second half of 2018 (up 30 per cent from 2H17) and sales of smartwatches continued to lead the category (65 per cent smartwatch vs. 35 per cent smart wristbands). Apple remained the leading vendor in smart wrist wearables sales in 2H18, followed by Fitbit and Garmin. In addition to the growth in wearables, Telsyte estimates 1.6 million, or 16 per cent, of Australian households were using smart speakers (such as Google Home, Amazon echo and Apple HomePod) at the end of December 2018, up from 538,000 (or 6% of households) in 2017). In Australia, Google is leading the smart speaker market with 72 per cent share of main smart speaker in use in Australian households. Promotions over the holiday period underpinned the strong uptake which Telsyte predicts will continue into 2019. 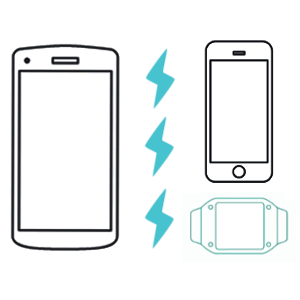 Telsyte measures smart wearable devices in the Telsyte Australian Smartphone & Wearable Devices Market Study 2019 as computing accessories worn on a user’s wrist typically paired and controlled via a smartphone. Examples includes products from Adidas, Apple, Asus, Fitbit, Garmin, Huawei, Jawbone, LG, Microsoft, Motorola, Nike, Pebble, Samsung, Sony, TomTom and others. SYDNEY, AUSTRALIA – The Australian mobile services market is expected to impact fixed line services as soon as next year with new 5G services becoming available, according to new research from emerging technology analyst firm Telsyte. The Telsyte Australian Mobile Services Market Study FY2018 found there is growing interest amongst consumers for home Internet services based on 5G technologies, with 1 in 3 households interested in subscribing to such services. This equates to around three million households potentially using 5G either as a primary or additional access technology as early as 2021. According to Telsyte, around 15 per cent of Australian households (1.4M households) are currently mobile only. Telsyte research shows 41 per cent of Australians aged 16 to 34 are interested in subscribing to 5G services for the home, given higher awareness and higher levels of living in rental accommodation. Telsyte’s research found interest in 5G broadband services remains the highest amongst those that are currently using mobile broadband (43%), indicating 5G might be an up-sell opportunity to mobile-only consumers. 5G broadband services are expected to be available in metro areas as early as next year from both Telstra and Optus; however, the potential demand of these services is still subject to the cost of 5G Internet plans and contractual obligations carriers have with nbn. Telsyte research has found that 5G presents opportunities for mobile service providers, but also fixed line service providers including nbn. Telsyte predicts that the short-term opportunity for carriers will be with dual-mode routers that utilise both fixed line nbn connections and 5G to provide a hybrid experience, building on the approach already used by carriers such as Telstra and Vodafone. Telsyte believes limited spectrum, massively growing data usage, and potentially high costs for consumers will limit the number of households that might look to go mobile only. This might give rise to more dual-mode routers which will utilise both fixed and wireless networks, using software to manage traffic across either network, having redundancy as well as the ability for lower latency and high burst speeds. “Fixed and wireless technologies such as 5G can work hand-in-hand,” Telsyte Senior Analyst Alvin Lee says. “Most consumers don’t want to think about what technologies are behind their Internet access, they just want it to be fast, good value and work seamlessly” Lee says. For nbn, Telsyte believes there is an opportunity to update existing non-metro fixed wireless with 5G as well as using it as an option for upgrading the FTTN network in the future. When it becomes available, 5G is expected to be an important mobile service provider (MSP) selection criteria. Telsyte research shows 37 per cent of Australian mobile users will see 5G as important when choosing their MSP, especially if it is not expected to be available from all MSPs initially. This rate is higher amongst those planning to switch providers (66%). Telsyte estimates 32 per cent of mobile SIOs will be 5G by the end of June 2023 (FY23). Nearly one third (31%) of smartphone owners are showing signs of holding off buying a new smartphone until 5G models become available. 5G “mobile” services are expected to be available either late 2019 or early 2020 depending on carrier rollouts. The Australian mobile services market grew by over 650,000 new SIOs (Services in Operation) in the measured 6 months to June 2018, reaching 34.9 million at the end of June 2018. The total 6-month net add in June 2018 was the highest during the June period for the past 8 years as more services were connected. The lion’s share of growth continued to come from handsets (70%); however, Telsyte research shows the total 6-month net adds of M2M and cellular IoT connections have doubled compared to the same period 12 months ago. Telsyte expects the increasing focus on cellular IoT consumer and business applications and continued NB-IoT network rollouts will underpin future growth, with enterprise applications taking the early lead. Telsyte forecasts M2M and cellular IoT connections will reach 25 million by 2023, driven by the explosion of cellular IoT as new consumer and business applications becoming more widely adopted. Cellular IoT applications include location tracking tags for asset tracking and IoT applications for transport, utilities, manufacturing, mining, agriculture and other industries. A large volume of cellular IoT applications are expected to be based on NB-IoT technology as the low power, low data-rate and low-cost advantages are suitable for many applications that require power longevity rather than high data throughput. Editors please note, Telsyte will not publicly supply individual service provider estimates. An online survey conducted in July 2018 with a representative sample of 1,047 respondents, 16 years and older. An online survey conducted in November 2017 with a representative sample of 1,162 respondents, 16 years and older. Interviews conducted with executives from carriers, mobile service providers, device manufacturers, and channel partners. SYDNEY, AUSTRALIA, The Australian Subscription Video on Demand (SVOD) services market continues to grow strongly reaching 9.1 million subscriptions at the end of June 2018, a year-on-year increase of 54 per cent, according to new research from emerging technology analyst firm Telsyte. Over the same period, SVOD revenues in Australia grew substantially (up 90 per cent) reaching over $700m at the end of the 2018 financial year. Telsyte forecasts Australians will hold more than twice as many SVOD subscriptions (22 million) by the end of June 2022. 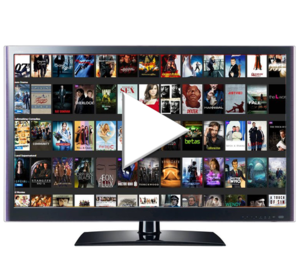 Streaming entertainment - delivered to Internet connected devices such as smartphones, set top boxes, games consoles and smart TVs - is quickly becoming the mainstream way consumers view video content. In total, Telsyte estimates 43 per cent of Australian households subscribed to SVOD services at the end of June 2018, an increase from around 30 per cent a year ago. This compares to around 70 per cent in the USA and 60 per cent in the UK, showing the growth opportunity within the next few years. The market leader is Netflix with around 3.9 million subscriptions, with Stan in second place with a little over 1 million. However, new services (e.g. Amazon Prime, Foxtel Now), and a growing list of popular sports and special interests are collectively feeding Australian’s hunger for video content. New SVOD services, including potentially those from Disney, HBO and various sporting codes, are expected to appeal to even more audiences. Telsyte research shows Australians are increasingly comfortable with subscription-based entertainment services with millions turning to subscriptions for SVOD, music (e.g. Spotify, Apple Music), and game console subscriptions (e.g. PlayStation Plus, Xbox Live Gold). 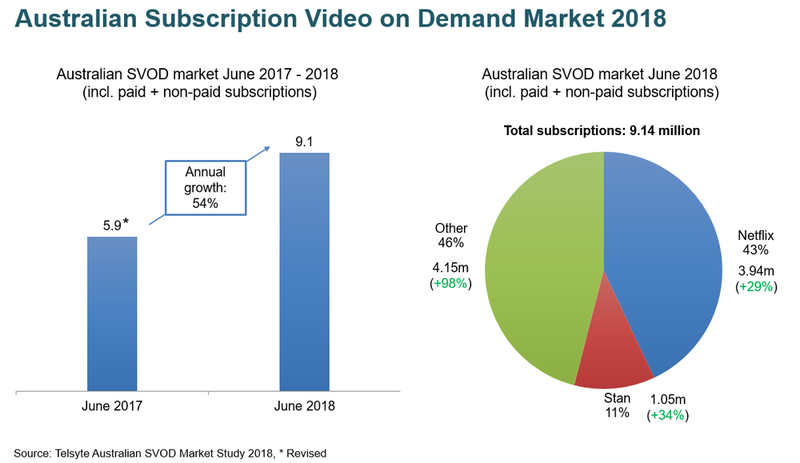 The uptake of SVOD services is putting pressure on traditional pay TV, which is found in around one-third of Australian households (end of June 2018), a similar level to 2017. The growth of Fetch TV, that allows access to both SVOD and Pay TV content via its set top boxes, offset the decline in Foxtel subscriptions. Telsyte Managing Director, Foad Fadaghi, says the SVOD market is not showing signs of being “winner takes all”. “Consumer are becoming comfortable with multiple subscriptions and are subscribing to different providers for exclusive content and live sports” Fadaghi says. Australians’ love for sports has been a big driver for SVOD, with sporting codes like AFL, NRL, and Netball (all exclusive to Telstra) showing strong demand, with usage exceeding the reported 1.5 million subscriptions in February 2018. Other popular niche services include UFC, NBA and MLB. Despite the technical issues, Telsyte estimates more than 2 million Australians* watched the FIFA World Cup in June 2018 via Optus Sport. SVOD services are big drivers for data consumption across fixed broadband and mobile networks. “Average monthly data usage on mobile and fixed broadband by SVOD users are both over 45 per cent higher when compared to those that do not use SVOD” Telsyte Senior Analyst Alvin Lee says. SVOD depends on broadband connectivity and as nbn and 5G wireless deployments continue, more Australians will be able to access streaming in 4K HDR quality, which is fast becoming standard on new smart TVs, and is increasingly supported on other digital devices. Telsyte research found 1 in 6 Australians streamed movies or TV shows in 4K HDR in the last 12 months. Amongst 4K TV owners, 1 in 3 streamed 4K HDR content, demonstrating growing consumer appetite for higher video quality when available. According to Telsyte, 4K TVs are already in some 15 per cent of Australian households and penetration will grow to around 50 per cent by 2022. According to Telsyte, growth in uptake of catch up and live traditional TV streaming services – sometimes called Broadcast VOD (i.e. 7Plus, 9Now, tenplay, ABC iView, SBS On Demand.) has slowed down, with SVOD penetration on track to overtake it. Telsyte estimates there are currently 4.1 million households with SVOD services versus 5.2 million households with broadcast VOD. However, BVOD and ad-free services in the case of ABC iView, continue to be an important channel for children’s content with more than 5.5 million children viewing these services, a 6 per cent year-on-year increase. Interviews conducted with executives from service providers, network operators, content providers, retailers, SVOD companies, and various hardware platform manufacturers. Financial reports released by service providers and network operators.